. Scientists discovered that any indoor environment has pollution levels that were at least 5 times higher than any outdoor environment. Think about this, we all breathe an estimated 3,000 gallons of air each day, so do your kids, so does your pets. Science has shown that any level of pollution can be harmful to our health and well-being. Professor Francesca Dominci, co-Director of the Harvard Data Science Initiative, found that mortality rates increase almost linearly as air pollution rates increase. However, she also noted that any level of air pollution, no matter how low, is harmful to human health. A prime example is what is happening to the original Indoor Generation, Baby Boomers. Research indicates that there has been a 20% increase in heart disease, and almost a 17% increase in COPD and other lung disorders, including cancer, in the past 30 years. This is even true with adults who have never smoked and exercise regularly. Spending 80 to 90 % of our time indoors, researchers now know that indoor air quality is a prime suspect. Remember, breathing even low levels of pollution is harmful to our health according to Professor Dominci. The next question should be, how will indoor air pollution affect other generations? When we at Pure Aire Wellness have conversations with business owners or home owners, and explain that we spend 80 to 90 % of our time indoors, we have on certain occasions been called out on these percentages. Let’s break it down a bit; (these are not percentages from Pure Aire wellness, but from the CDC, EPA, American Lung Association to name a few) generally we spend, on average, 8 hours a day at work. We also spend approximately 8 hours sleeping. That’s 16 hours indoors. Most of us spend at least an additional 4 hours at home, either before we leave for work or after we get home from work. Now we are at 20 hours indoors. Many of us go to the gym for an hour sometimes two hours, and if not the gym we spend at least an hour in our cars, yes there are pollutants in our cars, or go to the grocery store or a restaurant and that takes an hour at best. So we are looking at 21 or 22 hours a day indoors. We always ask, do you think you spend 2 or 3 hours outdoors a day? There is always those individuals that spend more time outdoors, but those percentages are low. Even if you spend only 16 hours a day indoors, 98% of our homes and businesses air should be considered polluted. Is your business or home in the 2% or the 98%? In sufficient concentrations, pollutants can have a direct effect on health and well-being. Many pollutants can be smelled, old garbage, pets, cleaning chemicals, furniture polish, spray air fresheners, scented candles, mustiness from your heating or cooling systems, and gas fumes from your garage. But many pollutants, especially biological’s generally can’t be smelled. The sensation of stuffiness results from overall pollution loads and lack of fresh air. Some of these volatile molecules can cause sensory irritations, such as headaches, fatigue, itchy watery eyes, breathing problems, lack of concentration, trouble sleeping, waking up congested and even nausea. Generally the threshold for sensory irritation is higher than for odor perception. Basically we’re saying what you can’t smell, along with things you can, is affecting your health and well-being. Good air quality is defined by the by the absence of health threatening pollutants and bacteria, bad smells, sensory irritations, and stuffiness. 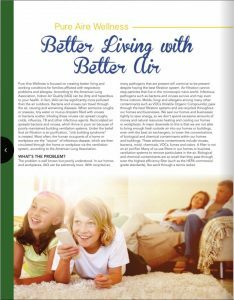 Pure Aire Wellness has found the solution for indoor air pollution with the help from patented technology from Sanuvox . The proprietary patented Ultra Violet Germicidal Irradiation (UVGI) air purification systems reduces or eliminates 99.9999% of all pathogens, bacteria, viruses, allergens, all mold and fungi, and odors that increase stuffiness indoors. Thusly reducing or eliminating indoor air pollution, creating a clean, healthy, indoor environment with high levels of clean oxygen. Which helps boost our immune systems and can even boost our cognitive abilities, according to research by as much as 61%. The CDC tells us that with proper ventilation, good filtration and the use of UVGI you can clean an unhealthy indoor environment and turn it into a “healthy Home” or “healthy workplace”. There are other companies out there that offer UV lamps, but only Sanuvox has the only affordable patented UVGI air purification systems. If someone tells you that they have a UV product, ask them if it’s a patented product. Also ask them if the EPA and Homeland Security have tested their equipment and have gotten full approval for use on our military bases. Also ask them if any of their research has been published in the Lancet Medical Journal. Basically you’re looking at the difference between a flip phone or an iphoneX. Both are communication devices, but iphone X is much more advanced with better technology. With pricing being about the same, which one would you prefer to use? High end technology or old outdated technology? How this story ends is up to you. Think about this “Doing the same thing over and over again, but expecting a different result, is the definition of insanity” this is a quote from Albert Einstein. The health benefits are now confirmed by science, but there is still a long way to go before we understand that clean water and clean air are not just “nice to have” but they’re a “need” to have. These are requirements for a healthy life. Isn’t it time to make a healthy change in your homes, schools, gyms and workplace’s? We at Pure Aire Wellness know what a problem indoor air pollution is to the health and well-being for all of us. We at Pure Aire Wellness also know what the solution is to live in a clean, healthy, oxygen rich indoor environment. That’s why we are the proud distributor of the proprietary patented technology from Sanuvox. In other words we can create a healthier, more productive society just by getting rid of indoor air pollution and breathing clean, healthy, oxygen rich, unpolluted air. You do not become immune to indoor air pollution, and yes it can and does harm you. Breathing clean air is a basic requirement for life. We aren’t going to change from being the “indoor generation”. We can however change the kind of air we breathe indoors, making the indoors less dangerous to our health and well-being is important to not only us, but for future generations. Being proactive is always better than being retroactive. Isn’t it time bring clean, healthy, oxygen rich, unpolluted air into your home, school, daycare, senior living Center, gym, and workplace? Go to www.pureairewellness.com read the research and watch the video. This is a real problem, Pure Aire Wellness has the affordable solution to creating clean, healthy, oxygen rich air indoors. 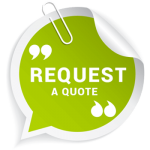 Call 605-209-5930 for a consultation or presentation. My relatives always say that I am killing my time here at web, however I know I am getting know-how all the time by reading thes fastidious posts. Why are Children More Vulnerable to Indoor Air Pollution?